Who would be Esmeralda's paborito Disney princess? ang napili ng mga taga-hanga: "You speak of justice yet you are cruel to those most in need of your help!" 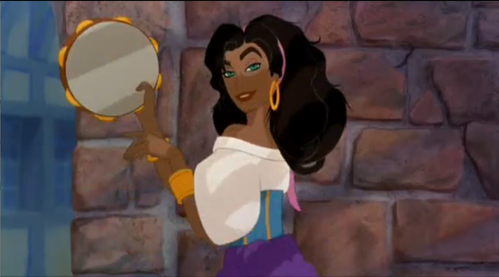 Esmeralda is the deuteragonist of Disney's 1996 animated feature film, The Hunchback of Notre Dame, she's beloved sa pamamagitan ng all (and especially me), so here is an artikulo all about her. Though I'm sure due to the unpopularity of this club, very few people will get to red this article, but for the curious mind, here are some facts (and personal praise) of THE GYPSY ESMERALDA! i pag-ibig the Hunchback of Notre Dame. i know i havent really have heard of this character before, but when i went onto here(i was told of this spot sa pamamagitan ng one of my fans) it opened my eyes. as well as the susunod day, and friday. so, yeah if you are pagbaba this, leave embracive and informative comments. How many ginto coins does Esmeralda have on her dress?